Home Computer Whatsapp How To Use Whatsapp On Your Pc Or Mac (Step By Step Guide). How To Use Whatsapp On Your Pc Or Mac (Step By Step Guide). Hey Friends wassup...!! 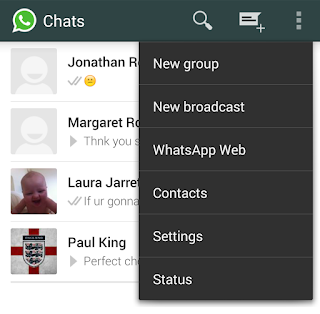 Do you wanna know how to use whatsapp on your pc or mac, then you are at perfect place. Just keep reading and follow bellow given steps one by one to download whatsapp on your pc or mac. So lets just directly come to the point how to use whatsapp one computer or mac.. Step 1 :- First of all open Chrome browser on your pc or compute ( other browsers may not support ). Step 2 :- Now just go to this Whatsapp Web official website ( you can directly go from given link ). 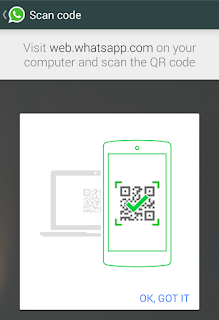 Step 3 :- You can see that this Whatsapp Web site wants you to scan some QR code from your phone to use whatsapp on pc or mac. Step 4 :- Now you have to open your whatsapp app on your phone and then go to Settings ( three dots ) and then click on 'Whatsapp Web' option over there. Step 5 :- Now you will something really cool hacker type on your phone, first click on 'OK, GOT IT' and then you'll see a scanner ( just a square box with one horizontal line moves up and down), you have to point your phone's back camera towards your QR code on the computer ( make sure that this scanner scan's that code perfecty ). 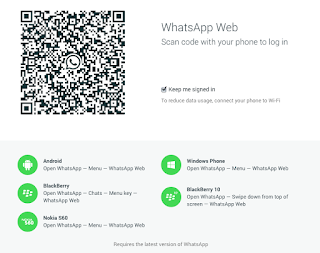 Step 6 :- Once your phone will scan that code on your pc then you will be automatically logged in to your whatsapp web and can use whatsapp on your computer or mac. 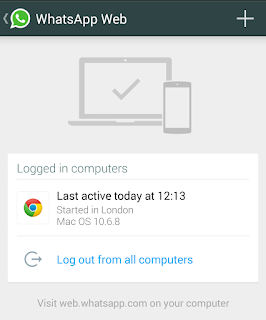 Now to log out from that pc you just have to go back to your whatsapp settings on your phone and then tap on Whatsapp Web and then you will see an option named as 'Log out from all computer' just click on it. Thats all now you can easily use whatsapp on mac or computer. The procedure to download whatsapp on your pc or mac is same in this method, so you can use whatsapp on your pc and mac both according to this method. Step 1 :- First of all you have to download a software on your pc or mac named as 'BlueStacks". You can download it directly from here and then just install it. Step 2 :- Now open or run this BlueStack app and then just type "Whatsapp" in given search box. 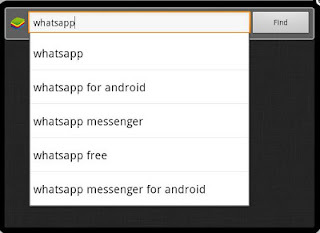 Step 3 :- Now it will show you some results just click on top first searched whatsapp app to download whatsapp on your computer and then just click on 'Install' button given there. Step 4 :- Now BlueStack will automatically download whatsapp on your pc and them just install it. Step 5 :- Thats it now you can easily use whatsapp on your computer or mac just like your phone. Now to open/use whatsapp on your pc or mac you first have to open BlueStacks and then click on 'My Apps' option over there and then you'll see a Whatsapp option there, just click on it. That's all now you'll see the magic lol I mean now you can use whatsapp on your mac or computer. So I guess now you have successfully learned how to use whatsapp on computer or mac.